A little over two decades ago I had the pleasure and honour to spend a fair amount of time with Michael Been while touring America. Simple Minds may have been the headliners, however there was no doubt that is was us who looked up to our opening act – The Call - fronted by none other Michael Been. We may have just topped the Billboard charts but we all knew it was Michael who was the "real deal" especially in comparison to ourselves, who at that time had buckets of chutzpah well enough to disguise for the most part the fact that by enlarge we were still well wet behind the ears. Michael in turn had already lived "an artist's life," having traveled far and wide both in body and mind from the dusty back roads of Oklahoma. A preacher and a teacher no doubt, he was always much more than your usual “ten a penny” careerist ‘80’s rock star. That said as driven as he was with his beliefs, the very ones that infused his music; Michael far from sanctimonious, was always a hoot to be around. To my mind, he had a similar soul that one perceives in true American greats such as Robbie Robertson and even Dylan himself. But even more wonderfully he also had the wickedly spirited comedy of John Belushi draped all around him. For that reason I easily recall the difficulty in picking myself up off the floor numerously after he had acted out one of his genuinely hilarious anecdotes. As I say, it was a pleasure and an honour to have hung around with Michael Been, and for that reason it is with sadness and with feelings of extreme fondness that I recall this warm and friendly man only hours after his sudden death. That The Call were denied the kind of commercial success that their music merited, is an obvious understatement. Too American for the Europeans perhaps, and too English sounding for the American mainstream, Michael’s face was more suited to Biblical epics than the once ubiquitous MTV. (Beards and bellies were not associated with authenticity back then in MTV land. And Michael to be frank was way too authentic to take seriously the falsities needed to play the success game.) For that reason I was not surprised to see him turn up in Martin Scorcese’s The Last Temptation Of Christ. Michael Been may have departed but I am convinced that his songs will live on and continue to be discovered by the on coming generations. I look around the current musical landscape in search of those coming through who may be cut from the same cloth as Been was. Today that search is fruitless, but I would never give up hope. Hope was what the music of The Call was all about. This may explain why many thought our bands made for a great bill, and with so much in common. I was extremely upset to hear about Michael's untimely death. I have so many great memories. He was a great songwriter, never properly acknowledged, and such a passionate singer. Although Michael's darkness was very evident in his music, he was always open, warm hearted and a pleasure to be with. The lead singer, bassist and primary songwriter of the critically-acclaimed Eighties alternative rock band The Call, Michael Been stood out as one of the few American musicians to attract a dedicated following at a time when groups from the British Isles dominated the airwaves. Been's powerful baritone and his passionate belief in the redemptive power of rock shone through on the anthemic singles "The Walls Came Down", "I Still Believe (Great Design)" and "Let The Day Begin", and he was recognised as a kindred spirit by Peter Gabriel, U2's Bono and the Simple Minds frontman Jim Kerr, who guested on The Call's various albums and asked them to open for his band. In 1987, another admirer, the film director Martin Scorsese, cast Been as the Apostle John in his epic The Last Temptation of Christ. "It was one of the greatest times of my life," said the singer. "He felt there was a similarity in what the band was singing about and the purpose of his movies." Yet, while The Call became firm college and "modern rock" radio favourites in the US, they never quite escaped their cult status. This might have had something to do with Been's everyman physique and his socially conscious lyrics, as well as his reluctance to compromise, but was most likely due to his refusal to appeal to the lowest common denominator. "Rock'n'roll is a vehicle to express the emotions you are not allowed to use in everyday life," he said. "We shouldn't waste rock and roll. Rock should be looking at some of the big questions. At its best, it's an art form that inspires, sometimes teaches, sometimes threatens. Its only crime is when it bores." Born in 1950, Been spent his childhood in Oklahoma City. At the age of seven he won a talent contest at a local fair and began performing on local television and radio as "Little Elvis". "I grew up on rock and roll," he recalled. "I saw Elvis Presley on The Ed Sullivan Show and I was never the same. Little Richard, Chuck Berry, the Beatles, the Rolling Stones and the Yardbirds. I started playing guitar as soon as I was old enough. When I was a kid, music just seemed to take up so much of my day voluntarily. That's how I wanted to spend my time." Between 1969 and 1971 Been was in Lovecraft, a spin-off of the psychedelic group HP Lovecraft, and, after relocating to California in 1972, he joined Fine Wine, which featured two former members of another legendary psychedelic outfit, Moby Grape. However, he really made his mark in 1979 when he started Moving Pictures, soon renamed The Call, with a fellow Oklahoman, drummer Scott Musick, and two Santa Cruz locals, guitarist Tom Ferrier and bassist Greg Freeman. "It all fell together so naturally," he said. "We played together so effortlessly and trusted each other." In 1980 they travelled to the UK to record demos and saw Joy Division and the Gang Of Four. "The British weren't so concerned with technique and orthodox standards, they just played like their lives depended on it," Been said. "In fact, everyone thought we were an English band." In 1982, they signed to Mercury and recorded their eponymous debut in Britain with noted producer Hugh Padgham. Through him, they met Gabriel, who called them "the future of American music." The Call made a big impression with their 1983 follow-up, the hard-hitting Modern Romans. Been recalled: "There was a great deal happening politically – Grenada, the Lebanon – the US government saying the Russians are evil. That kind of thinking inspired me to write the last lines of 'The Walls Came Down'. The album reflected the times." Unfortunately, a dispute between the group, their management and Mercury affected the release of Scene Beyond Dreams in 1984 and left them in limbo until they signed to Elektra two years later. 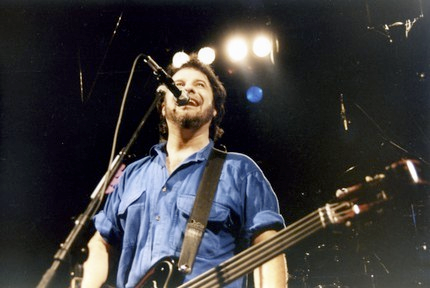 Keyboard-player Jim Goodwin replaced Freeman, while Been switched from guitar to an Ampeg fretless bass, and they made Reconciled at the Power Station studio in New York. 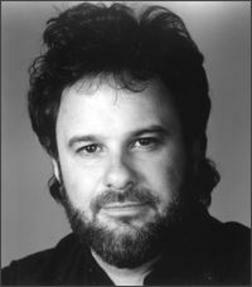 Gabriel and Kerr sang background vocals on "Everywhere I Go", the album's strong opener, and both that track and "I Still Believe" gained considerable airplay, though they lost momentum with the more introspective Into The Woods in 1987 before moving to the MCA label. The following year, The Call achieved their highest chart placings with the big-sounding Let The Day Begin album, which featured the actor Harry Dean Stanton, whom Been had met while making The Last Temptation of Christ, on harmonica. Despite peaking at 51 in the US and 42 in Britain, "Let The Day Begin" has become something of a rock classic. Al Gore used it as his campaign song in the 2000 US Presidential Election, and Simple Minds included it on Searching For The Lost Boys, the bonus album of covers packaged with the Deluxe edition of Graffiti Soul, their 2009 Top Ten album. Kerr recalled: "I had the pleasure and honour to spend a fair amount of time with Michael Been while touring America. It really was an honour. Simple Minds may have been the headliners, but there was no doubt that is was us who looked up to our opening act The Call. All of which stood to reason. We may have just topped the Billboard charts, but we all knew it was Michael who was the 'real deal' in comparison to ourselves who, at that time, had buckets of chutzpah, well enough to disguise the fact that, by and large we were still well wet behind the ears. By that time, Michael had already lived 'an artist's life' and travelled far and wide, both in body and mind, from the dusty backroads of Oklahoma. "A preacher and a teacher, Michael was always much more than your usual 'ten-a-penny' careerist '80s rock star. As driven as he was with his beliefs, he was far from sanctimonious and always a hoot to be around. He had a similar soul that one perceives in true American greats such as Robbie Robertson, but he also had the wickedly spirited comedy of John Belushi draped all around him. Both Charlie [Burchill, the Simple Minds guitarist] and myself adored Michael." 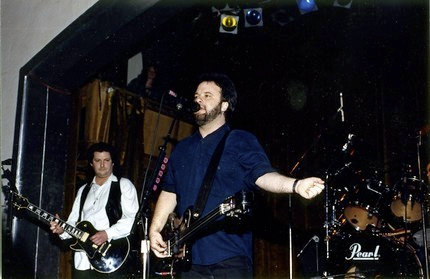 Following 1990's Red Moon, which had Bono on the gospel-tinged "What's Happened To You", The Call disbanded, though they returned with one more studio album in 1997. Been composed and recorded the music for Light Sleeper, the 1992 offbeat drama starring Willem Dafoe and Susan Sarandon and directed by Paul Schrader, and also collaborated with Rosie Vela and Bruce Cockburn. In 1994, Been released a solo album, On The Edge Of A Nervous Breakthrough. Over the last decade, he devoted most of his time and energy to mentoring Black Rebel Motorcycle Club, the indie rock trio formed in San Francisco by his son, Robert Levon Been, and Peter Hayes. He engineered and co-produced several of their albums and is listed as sole producer of their most recent recording, Beat The Devil's Tattoo. He was working as BRMC's sound engineer when he suffered a heart attack backstage at the Pukkelpop festival in Belgium. Michael Been, singer, songwriter, guitarist, bassist, sound engineer, record producer: born Oklahoma City, Oklahoma March 17, 1950; married (one son); died Hasselt, Belgium August 19, 2010. He played John the Baptist in a Martin Scorsese film. He once beat John Belushi in a comedy competition. He counted as friends Bono and Peter Gabriel. Al Gore borrowed one of his songs as the theme for his 2000 presidential campaign. But before all that, Michael Been began his eccentric and brilliant career as a musician in Santa Cruz, arriving in the mid '70s and maintaining a residence here for nearly 20 years. Been died Thursday at the age of 60 at a music festival in Belgium where he was working as a sound engineer for the band Black Rebel Motorcycle Club, which includes his son Robert Levon Been. He was best known as the lead singer for the 1980s rock band The Call, which during a period in the Reagan era was poised to break into post-punk rock 'n' roll stardom. But despite a high-profile endorsement from Gabriel and a couple of minor radio hits including "The Walls Came Down" and "Let the Day Begin,"
The Call never achieved the arena-rock status that many predicted of them. 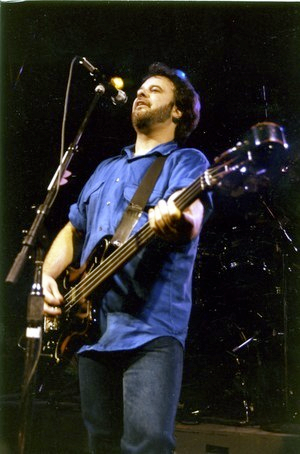 "Michael was a very cosmic cat," said longtime friend and bandmate Dale Ockerman. "He was a poet and a philosopher. But he also had a brutal honesty about him. He was not a go-with-the-program, American-Dream kind of guy." Been's formative years as a musician took place in Santa Cruz from the mid-1970s until the moment when The Call was famously tabbed by Gabriel as "the future of American music." Been grew up in Oklahoma in the 1960s. In a 1994 interview, Been told me that he felt uncomfortable there. "In their eyes, I was extreme. I was listening to my rock 'n' roll records, the Beatles, the Rolling Stones and they just couldn't figure me out. This was a place where people still looked at Elvis as some Satanic force of music. It was the Bible belt, and let me tell you, I felt extremely alone at that point." As a young man, Been moved out to Los Angeles with fellow Tulsa musician Scott Musick. The two soon drifted up to Santa Cruz where they met former Moby Grape guitarist Jerry Miller and sax player Cornelius Bumpus. They formed a band called The Original Haze, with Been on bass/vocals and Musick on drums. When Been and Musick broke apart to do their own thing, they enlisted keyboardist Ockerman in the clumsily titled band The Michael Been Band Is Airtight, which soon became simply Airtight. 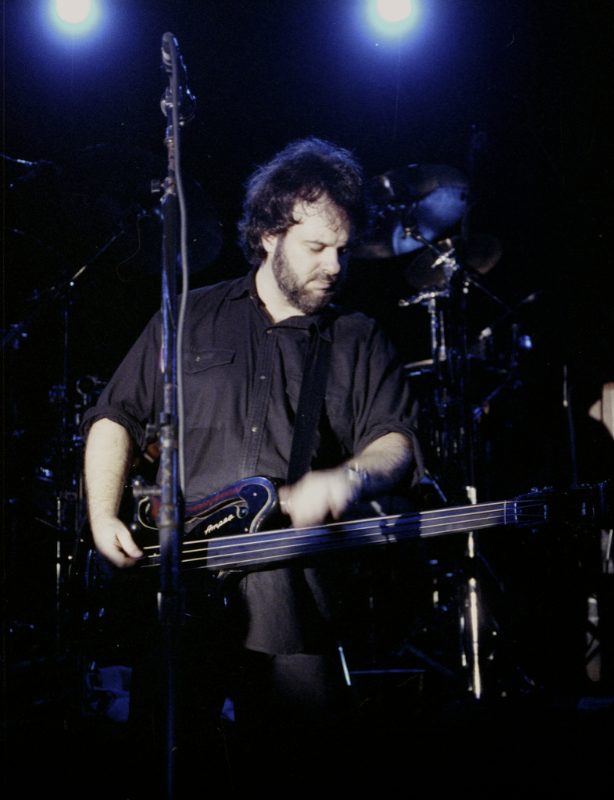 Ockerman, who later joined the Doobie Brothers and now plays with the White Album Ensemble, said that he joined the group when Been approached him at the Crow's Nest shortly after Been's guitar player left the band. "He just walked up to me and said, 'Hey, I know you. Want to sit in with us?'" 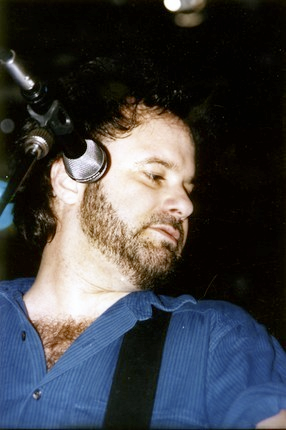 Ockerman said that Airtight was pursuing a sound similar to The Band, the classic Canadian group that served as Bob Dylan's backing band (The Band's Garth Hudson even played with Airtight for a while). But as the 1970s turned into the '80s, Been became re-energized by the post-punk new music of the time, a period that produced the Police, Talking Heads and U2, among others. It was then that Ockerman, not happy with Been's new influences, left the band. Been, with Musick, guitarist Tom Ferrier and keyboardist Jim Goodwin re-emerged soon thereafter as The Call. "We all liked the old rock 'n' roll," said Ferrier who still makes his home in Santa Cruz. "We'd sit around all night and play Stones songs. But whatever he heard in that new music of the time, it really super-inspired him and he really hit his stride as a songwriter." What followed was a dizzying ride to the almost-top. "One day, Peter Gabriel called us up," remembered Ferrier, "and said, 'You're the coolest band I've ever heard. Why don't you come out on the road and open for me for the next six months?'" The band had a bona fide MTV hit with the single "The Walls Came Down," which fit the anthemic vibe of the era. The band was touring at a constant pace throughout the decade, eight to nine months out of the year. And it broke through the one-hit-wonder barrier by a series of albums throughout the '80s consistently praised by critics. But The Call never reached the level that was expected from fans such as Gabriel, Bono of U2 and Jim Kerr of Simple Minds. Been and his bandmates made a couple of bad decisions -- they decided to turn down an invitation to perform in the cult-hit film "The Lost Boys" filmed in Santa Cruz. And they were burned by record-company decisions, as well. "We were both the luckiest and the unluckiest band in the world," said Ferrier in reference to the band's 1989 hit "Let the Day Begin," which a decade later would be used as the unofficial theme of the Al Gore for President campaign. Upon its release on the MCA label, the song quickly rose to the top of the AOR (album-oriented rock) charts. "That record was just flying out of stores," said Ferrier, "and finally, we felt were really lifting off." But MCA under-ordered the album and the unthinkable happened: "The stores went dry. Two weeks with no records in stores, and then, just like that, it was over." The band had a great ride, said Ferrier, but no one made much money, and the rock star life devastated the band's family relationships. Throughout it all, Been played the role of the messianic front man, bringing a sense of purpose and charisma to his stage performances, and putting increasing demands on his bandmates and himself. "He was a big, giant personality," said Ferrier. "He had a vision that we all bought into, and that's really how the best bands work. He was the most complete player and musician that I've ever been around, and to be in a band with somebody like that, it raised my game." "I always loved him," said Ockerman. "We were not meant to be partners. But we were meant to be friends." In an 1994 interview Been reflected on his near-miss career: "I don't have any regrets that it didn't happen. In fact, it's the worst thing that could happen in many ways. I know people who are in that kind of situation and believe me, they spend most of their time talking with lawyers and accountants and guarding their money." Michael Been may not have been a household name, but his band, The Call, had several major hits in the 1980s, and even had Bono sing backup to him on his song Let the Day Begin. Been died at the Pukkelpop Music Festival in Belgium last Thursday. He was attending as sound engineer for his son Robert Been’s band, Black Rebel Motorcycle Club. The Call never received the attention it deserved, and its own website refers to it as “Perhaps the most underrated band ever.” They were not alone in thinking this. Peter Gabriel once said that they were “the future of American music.” So close and yet not close enough. Just like Al Gore’s presidential campaign, The Call almost reached the top, but missed out at the very last minute. In fact, it is no coincidence that Gore used their song “Let the Day Begin” as the theme for his campaign. Been was born in Oklahoma, but moved to LA with friend and fellow musician Steve Musick. By the 1970s, they were in Santa Cruz, where they put together band called The Original Haze together with Moby Grape guitarist Jerry Miller and saxophonist player Cornelius Bumpus. 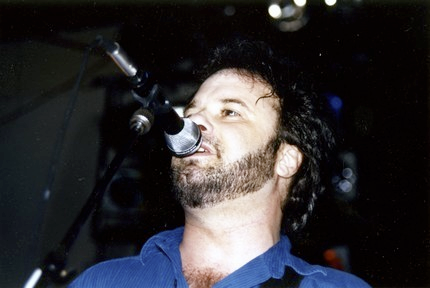 Musick was eventually replaced with keyboardist Dale Ockerman, and the band changed its name to Airtight. Ockerman eventually left the band to join the Doobie Brothers. Been regrouped with Musick, along with Tom Ferrier and Jim Goodwin, to create The Call. They band had a series of commercial successes, but none like those anticipated for them by Gabriel. As his career winded down, Been moved back to Los Angeles, but Santa Cruz will always be the place associated with the formation of his greatest project, The Call. Michael Been in fact died helping B.M.R.C. — he was working as the group’s sound engineer at a show in Belgium when he had a heart attack. While the situation is sad, truly the man loved music. Here’s a look at Been and his band at their best — for those who know The Call, enjoy and remember. For those who don’t, well, check it out, you might like it. Click here to see original article and notes left by fans. The news of the death of singer/songwriter/actor and the front man for the group, "The Call" has shocked the music scene and especially fans of the independent alternative movement. Michael Been died of an apparent massive heart attack backstage at the "Pukkelpop" music festival in Belgium on the 19th of August. To fully understand the tragic loss to the scene, an historical examination is needed about Been and his various artistic expressions-most notably through his work as the voice and soul of "The Call". Michael Been hailed from Oklahoma City, Oklahoma and moved to California in 1972. In Los Angeles, California he met drummer Scott Musick and found they both shared similar musical tastes and both were from Oklahoma. In 1976 they both moved to Santa Cruz, California and met bassist Greg Freeman and guitarist Tom Ferrier. They formed "Motion Pictures" and eventually changed the name The Call around the year of 1979 and started passing demos to record labels. Mercury/Polygram signed a contract with The Call in 1980 and the group released a self-titled album (yes-vinyl!) in the midst of the "New Romantic" era of music. It was immediately evident that Michael Been and his band were not following the examples of their peers by the their decision to eschew the glamorous look and rather sometime vapid lyrics groups like "Culture Club" and "Duran/Duran" exhibited. The Call really caught the attention of critics and alternative music lovers with the release of their second effort entitled, "Modern Romans". Titles like "Back to the Front", "Time Of Your Life" and the title track reflected Been's writing brilliance at combining passionate cynicism, faith and eventual redemption all set to a thundering beat. Upon reading the following lyrics, one is drawn to the powerful and haunting images they conjure in the mind's eye! The Call ended as a group in 1990 for many reasons and perhaps one of them was the fact that Michael Been began to flirt with a film career as an actor. Director Martin Scorsese offered Been the role of John the Disciple in the very controversial film, "The Last Temptation of Christ" released in 1988. Been received several accolades for his role which came naturally to him because of his strong faith in providence. His association with actor Willem Dafoe who portrayed Christ in the film undoubtedly led to Been providing the haunting music score to Paul Schrader's engaging film, "Light Sleeper". Michael Been continued his examination of the human condition through music with his solo effort entitled, "On the Verge of a Nervous Breakdown". 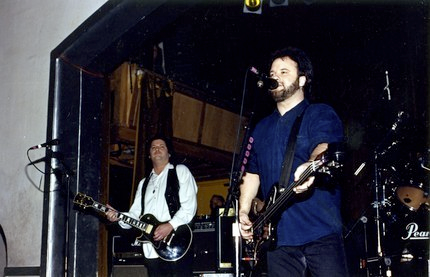 Two members of The Call helped Been with his solo release and this subsequently led to a brief reunion of the band in 1997 optimistically titled, "To Heaven and Back". Listening to the album at the time, fans were greeted with music that tackled all the classic themes that the group became famous for such as religious introspection and man's capacity for good and evil. The joy of the reunion was short lived as the group once again disbanded and Been began to provide service as a sound engineer for his son's group called "Black Rebel Motorcycle Club" starting in the year 1998. Thursday the 19th of August proved to be his last night helping his son's group with his sound engineering expertise. Been collapsed backstage and receive on site medical attention. He was rushed to Salvator Hasselt hospital and never regained consciousness from the heart attack that forever has silenced his powerful and heartfelt voice. Michael Been's contributions to the world of music and film cannot be understated. He was the antithesis of the classic rocker, yet his confident and lyrical voice affected all who were fortunate enough to have caught his act live in concert. He was a deeply religious man who judged himself more than he judged others. His lyrics spoke to a deep distrust most find with any institution that organizes itself at the expense of individuality and grace. He was a man who had tried to gain redemption through his music and perhaps did so when Saint Peter called his name. His spirit has been transcended and perhaps we can catch a glimpse of this by listening to what he has left behind. It’s troubling to think that was their career peak as far as popularity goes. In terms of quality I’d rank their next album Into the Woods (1987) equal or even higher on some days. It wouldn’t be long before the band moved on to MCA which, at that time, was gobbling up established bands to try to prop up their roster. MCA hadn’t broken a new act in a long time, so they weren’t even going to play the game of trying. The problem is that they weren’t particularly interested in supporting their new acquisitions either and their albums for the label made a sad, silent slide into the cutout bins. That’s where I bought the cassette of Red Moon (1990). Been was always very open about his faith, and about his struggles with it. He sang songs of triumph and of dismay, and he did it with the passionate bellow of a preacher. He was always intelligent about his message, and it was never a case of proselytizing or of rolling a message up and shoving it down your throat. 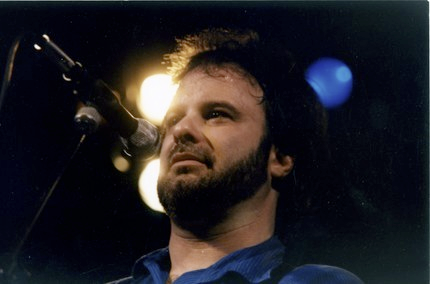 He sang “I Still Believe” with the same conviction as he did when he covered the Yardbirds’ “For Your Love” on his solo album On the Verge of a Nervous Breakthrough (1994). And when he felt like breaking your heart, he could do that too. Breakthrough featured his song “To Feel This Way” and it was subsequently revived by the Call on their Warner Bros. debut, The Best of the Call. Breakthrough also had the track “Worried” and even in the early ’90s, in the age of rock and roll pity parties, he imbued the song with a palpable sense of despair. You know time don’t mean nothing but a burden to me, so I’m free to be lifted on a wing, and I’m open to try if you think it’ll work, but a can’t guarantee anything. It’s getting too quick for me to keep up, so you better keep holding me fast, ’cause I may fly off into a million pieces, and you won’t know the first from the last. Here’s the kicker — if you look at the song from a different angle, it’s not about a downward spiral at all, but the gravitational pull of falling in love. So if you ever worried about me darling, better worry about me now, and if you ever cared anything about me, better care about me now, I’m on a one-way dive to the bottom of the world, this could be my final bow, so if you ever worried about me, better worry about me now. Few writers or musicians could pull off a song with such drastic perspective shifts, all dependent on the processing of the listener. If there was justice, and it’s hard to claim there is, the Call would have been recalled as readily as U2, another group frequently accused of fusing themes of faith and spirituality to a hard-kick rock beat. Perhaps we would have seen a reunion, and while that might not have been a cash cow proposition, it would have made the fans happy. It would definitely have made me happy, but now it all gets filed under “What might have been”, no pun intended. With respect to Tom Ferrier, Scott Musick and Jim Goodwin, the Call does not exist without Been, and the music world is diminished because of it. I like the opening statement on their Wikipedia entry: “The Call was an American rock band …” That’s just fine. One final note: A lot will be said about Been’s relationship with Black Rebel Motorcycle Club, as his son Robert is the lead singer for the group, but this is all that needs to be said right at this moment. Just a few minutes ago I was checking out the latest news when I discovered that The Call front man Michael Been died a couple of days ago, aged 60. The bassist, singer and songwriter passed away after suffering a heart attack on August 19 – he was at Belgium’s Pukkelpop festival working as soundman for his son Robert Levon Been’s band Black Rebel Motorcycle Club. The Call were one of my very favourite bands and so hearing of Been’s passing is very sad for me. Although The Call were never megastars, you might remember some of their songs such as The Walls Came Down or Let the Day Begin. They never classed themselves as a ‘Christian’ band but their music causes has always caused me to stop and think. It still causes me to re-evaluate my relationship with God and to feel deeply about stuff in a way that most ‘Christian’ music can’t. Here’s a snippet from an article run in Contemporary Christian Music Magazine quite some years ago. Though the Call is marginally connected with Christian music, Been’s not given to aligning himself with it. In fact, he says he never even heard of the Cornerstone Festival before The Call’s slot on the fest’s Encore stage in July. “I’m not even aware of that world, really,” Been explains. “I found the Christian market to be a whole different culture, and I didn’t care for it very much. It hasn’t been very exciting or interesting or innovative, although I love Over the Rhine, Bruce Cockburn and Mark Heard. I just find it sad that we make distinctions with music – to me it’s depressing that there’s even black music and white music. Unfortunately, at least one recent development has further soured Been to Christian music. “Of the 10 major Christian market radio stations, six have refused to play the Best of The Call because of my involvement in The Last Temptation of Christ,” says Been, who played the role of John the Baptist in the film. “I never thought the movie was blasphemous. We were trying to do something important. Of course, if I publicly denounce and regret my involvement in it…. Michael Been’s music has spoken deeply to me and so I’m deeply saddened by his death. Thankfully, though, I know that he fought the good fight and that he encouraged and challenged others to do the same. His life touched the lives of many others and I’m sure that his music will continue to call people to examine themselves and to strive to find their own true calling. See here for original article.